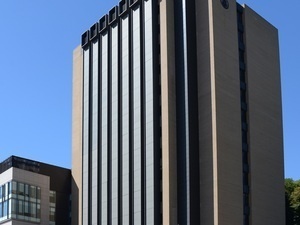 Eberly Hall houses Pitt’s Center for Simulation and Modeling, an interdisciplinary unit that supports and facilitates computational-based research across the University in such areas as energy and sustainability, nanoscience and materials engineering, medicine and biology, and economics and the social sciences. 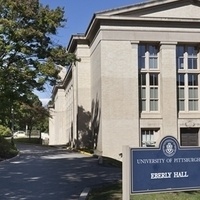 Dedicated in 1921, Eberly Hall was designed by architect Benno Janssen, who also designed such Oakland neighborhood landmarks as the Pittsburgh Athletic Association building, Mellon Institute of Industrial Research, and Pitt’s Alumni Hall. July 29, 2019 9:00 a.m.